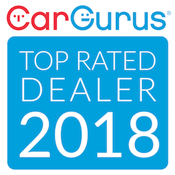 High quality pre-owned cars, trucks, and SUVs. Browse through our selection of vehicles. Take in the high quality images, meticulous notes, and detailed options lists. Know when shopping online what you see is what you'll actually get! We pride ourselves on earning your business. We carry a wide variety of cars, trucks, and SUVs. We specialize in lifted, diesel, and heavy-duty trucks. Everything we purchase is thoroughly inspected and you can rest assured we only sell vehicles we would put our own family members in. With a personable staff, quality inventory, and great finance options, Piedmont Auto Sales is here to help! Won't you join our family today? For all your financing needs, we are here to help! With 15 credit unions and 7 banks to choose from you'll have multiple options for a great interest rate.